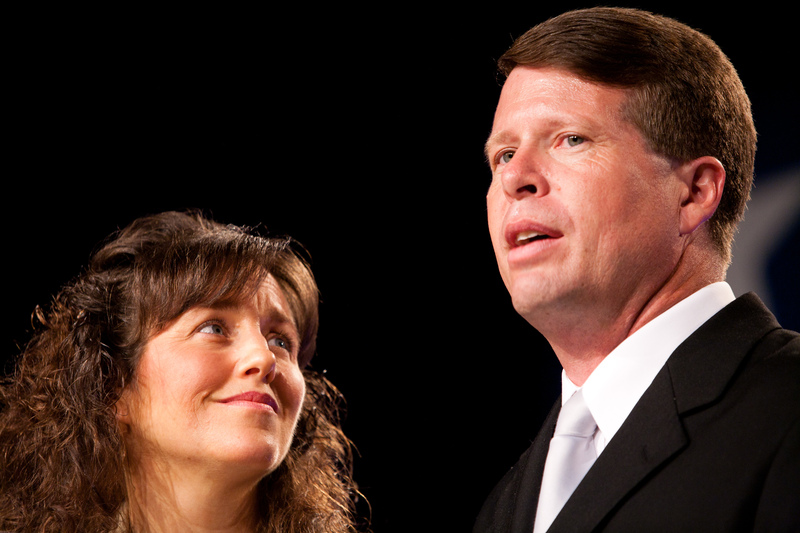 Michelle and Jim Bob Duggar certainly aren't everybody's cup of tea. I mean, they've got 19 kids; people with 19 kids are never everybody's cup of tea. But before they were parents, they were just a couple of crazy kids in love. The Duggar family shared photos Michelle and Jim's wedding recently, and not only do they look, well, adorable and so not like parents, Michelle revealed herself to be quite the thrifty DIYstress. I wanted to do as much as I could myself as a way to save money and keep the expenses reasonable. We didn’t buy flowers and barely even decorated the hall. I even made my own bouquet using fake flowers so I could keep them to decorate my home with later. For the wedding cake, I made it myself and froze it. Another special touch was wearing Jim Bob’s mother’s wedding dress as my dress. Everything we did for our wedding was so inexpensive, but perfect for us. We wanted to spend our money on our honeymoon, which was our first time to be alone together. Michelle also added that the fare served at the reception was cake, nuts, and punch. A far cry from the over-the-top, gazillion-dollar weddings we've become accustomed to today. Michelle and Jim, as strange as they are to many, are a sweet example of two people who got married simply because they loved each other and wanted to spend their lives together. Awww. I don't think I ever tried to imagine Michelle or Jim as anything other than parents, but now that I got a glimpse of their pre-children days, I've gotta say: I like them a bit better. Wonder if Michelle's still got the silk flowers in her house?